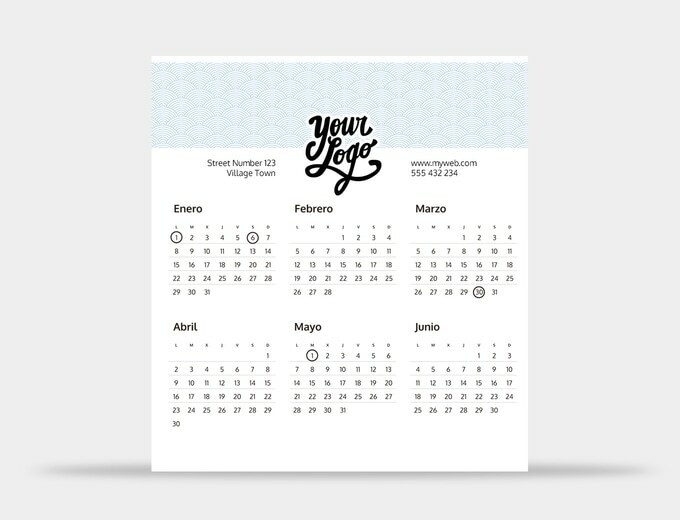 €2.76 per unit for orders over 25 units (does not include VAT). 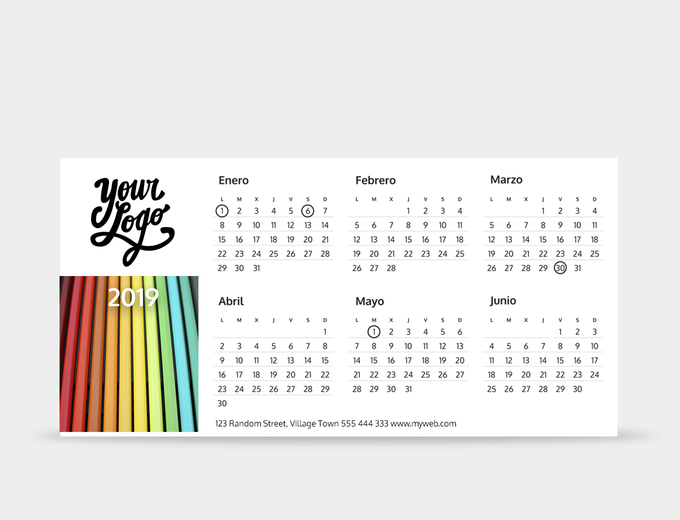 Special discounts for large orders. As you can see, each template has a specific size. 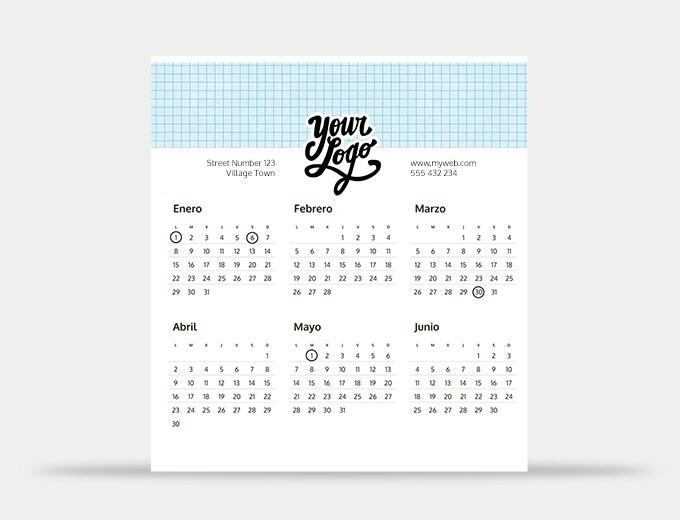 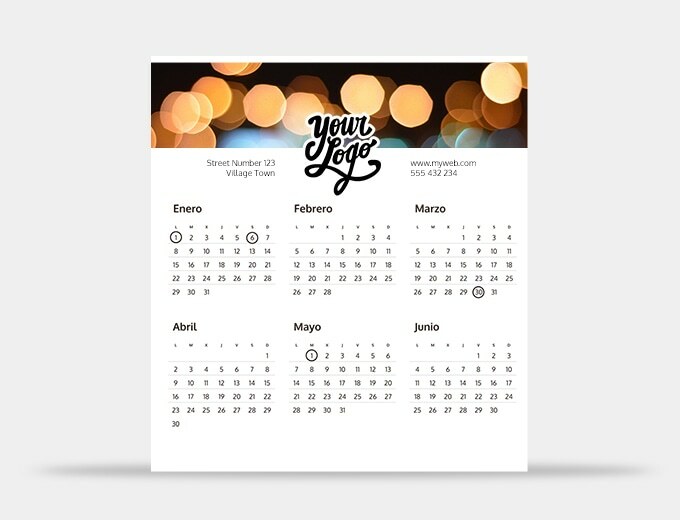 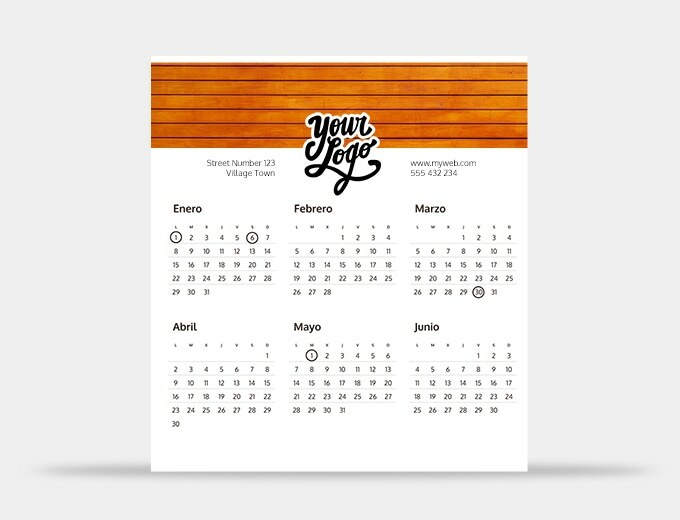 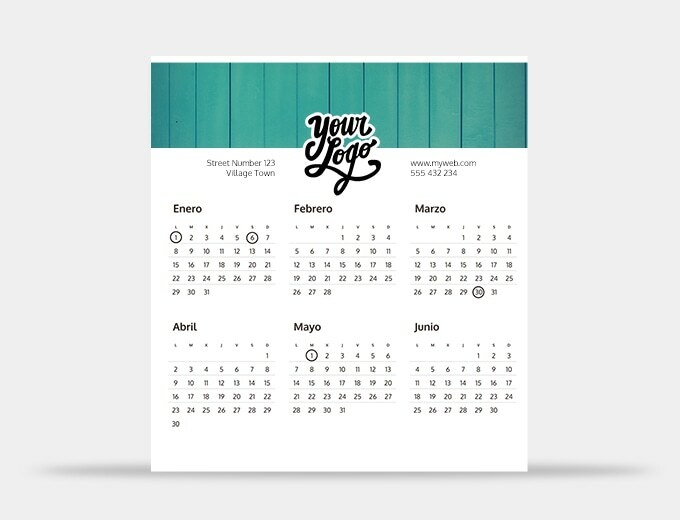 You can customize the calendar by adding your logo and contact information (such as address, phone number and email). 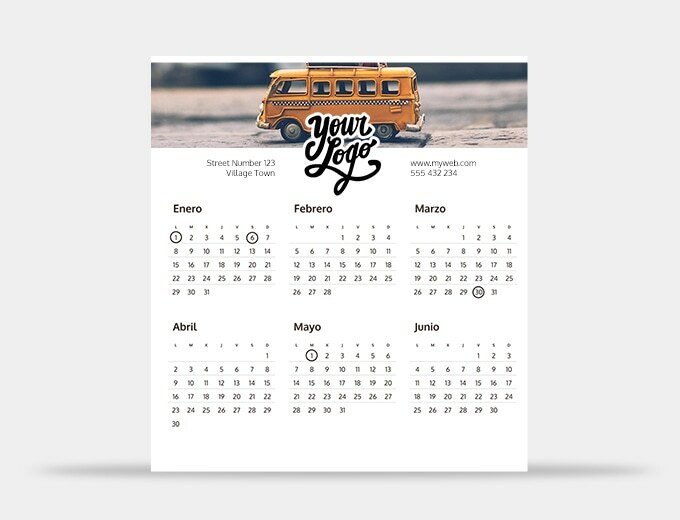 A great custom wall calendar with pictures is not only a must for regular people – it is also a sought-after item for companies that want them for promotion and advertising at the end and the beginning of a new year. 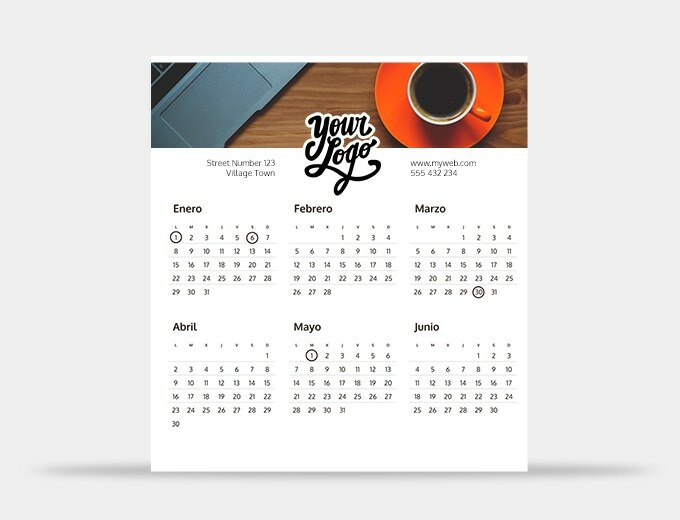 Camaloon’s online design tool allows you to easily create and buy your custom print tent calendars: you can choose from various templates to make sure the design suits your company image. 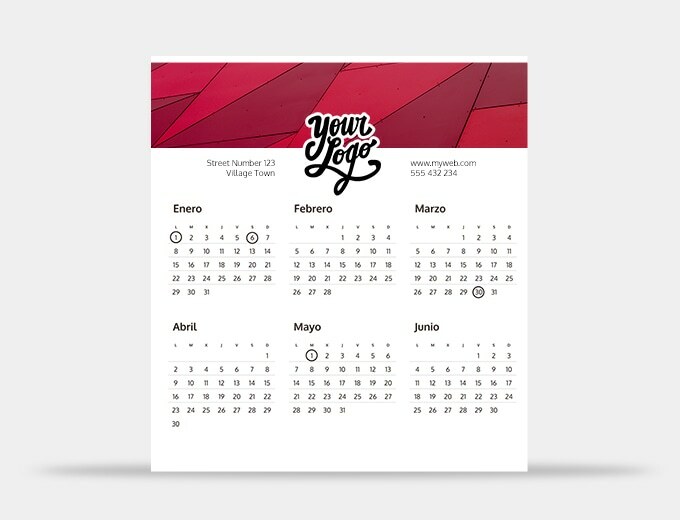 You can also add your contact information in addition to your company logo. 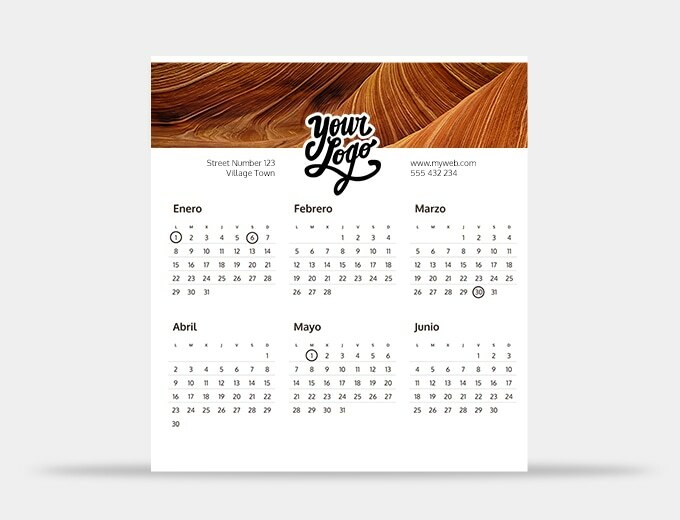 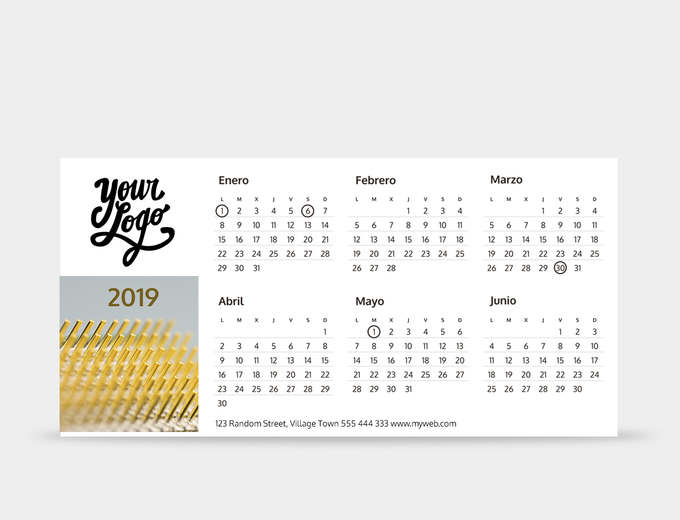 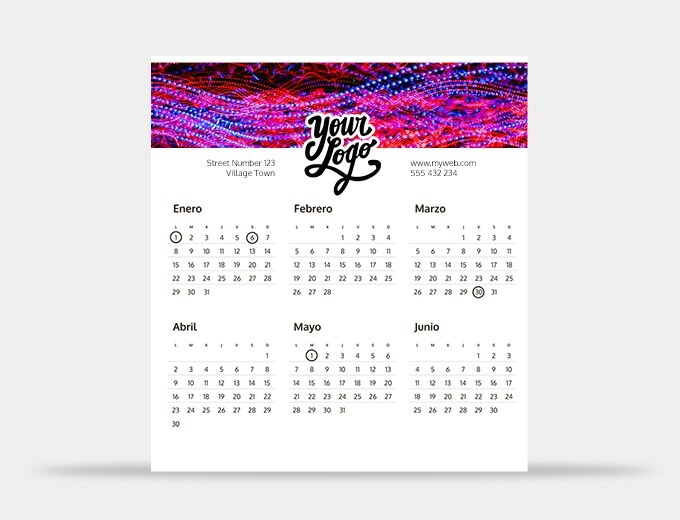 There is no doubt that the custom desk calendars will help you carry your company image and strengthen your brand in a way that reflects professionalism, efficiency and good quality. 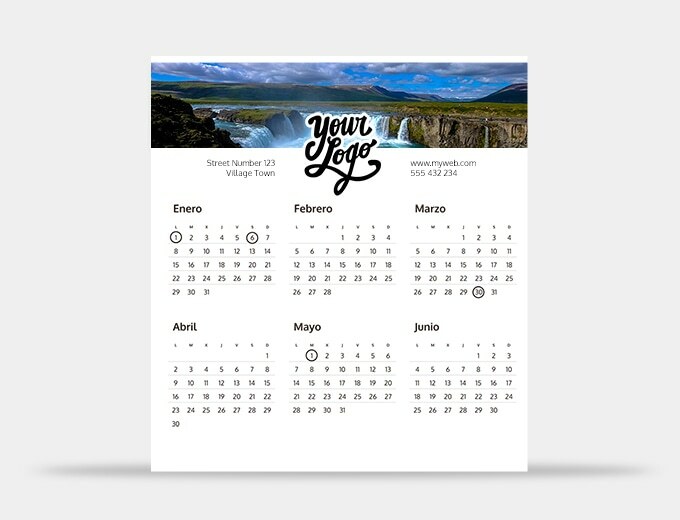 At Camaloon, we are printing professionals, and we keep track of our materials and reproduction to make sure that your custom print tent calendars or your spiral-bound desktop calendars last through the entire year – while showcasing your picture just like the first day. 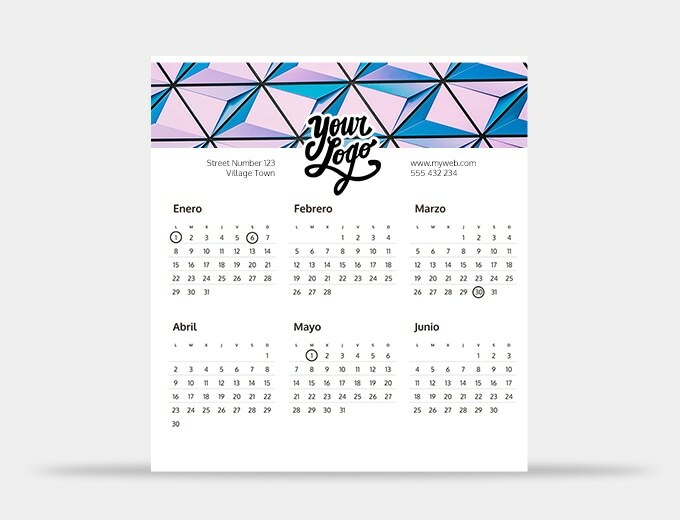 You can order your custom print tent calendars starting from 50 units. 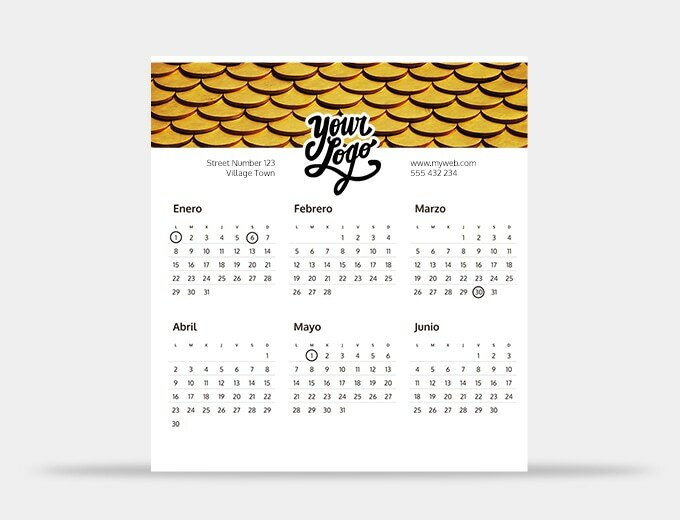 We have special prices for large orders of any of our two sizes and custom calendar formats for companies.